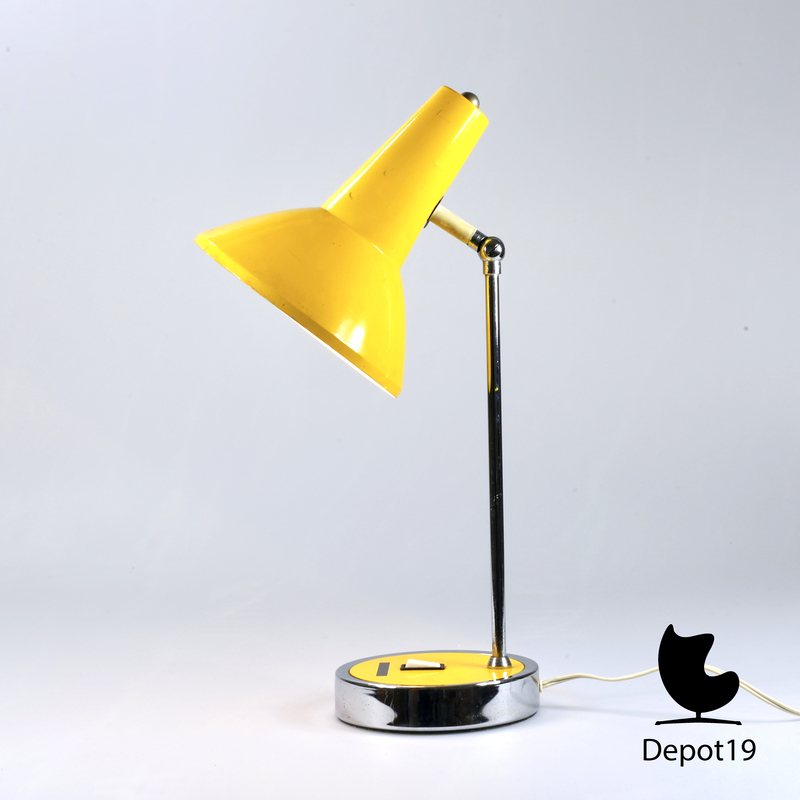 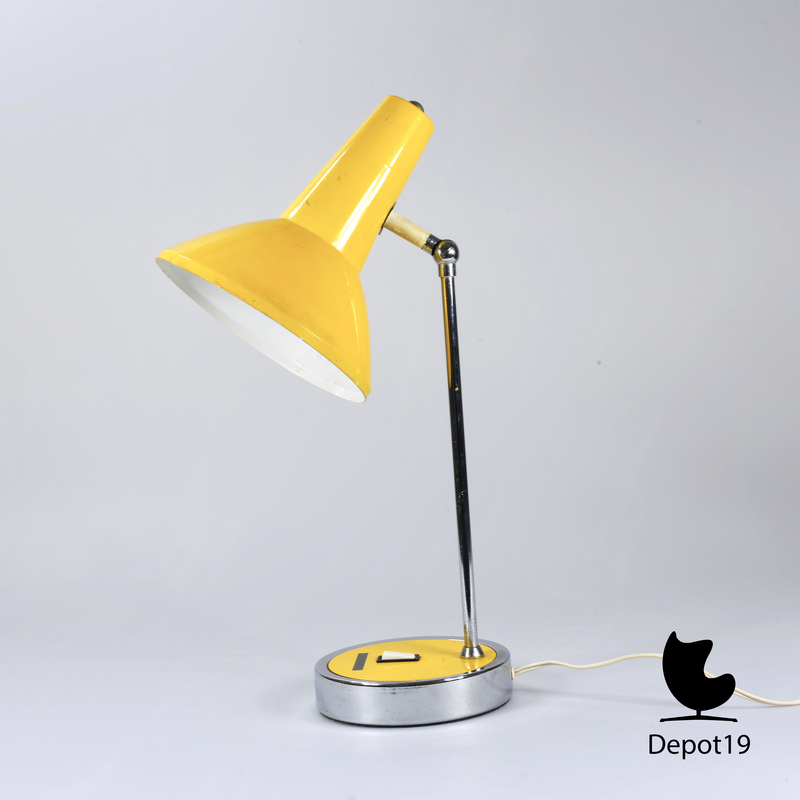 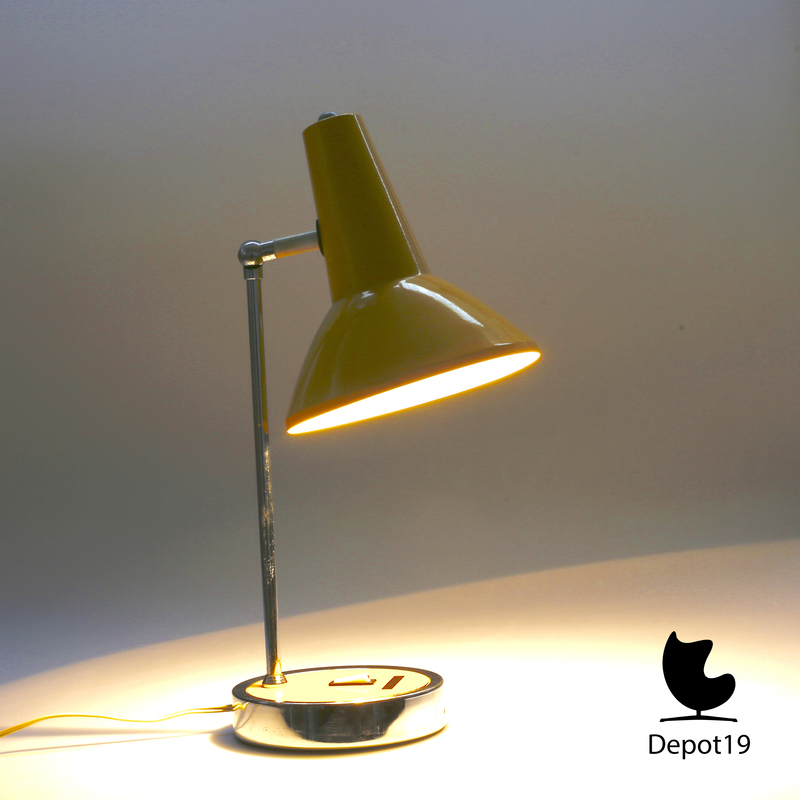 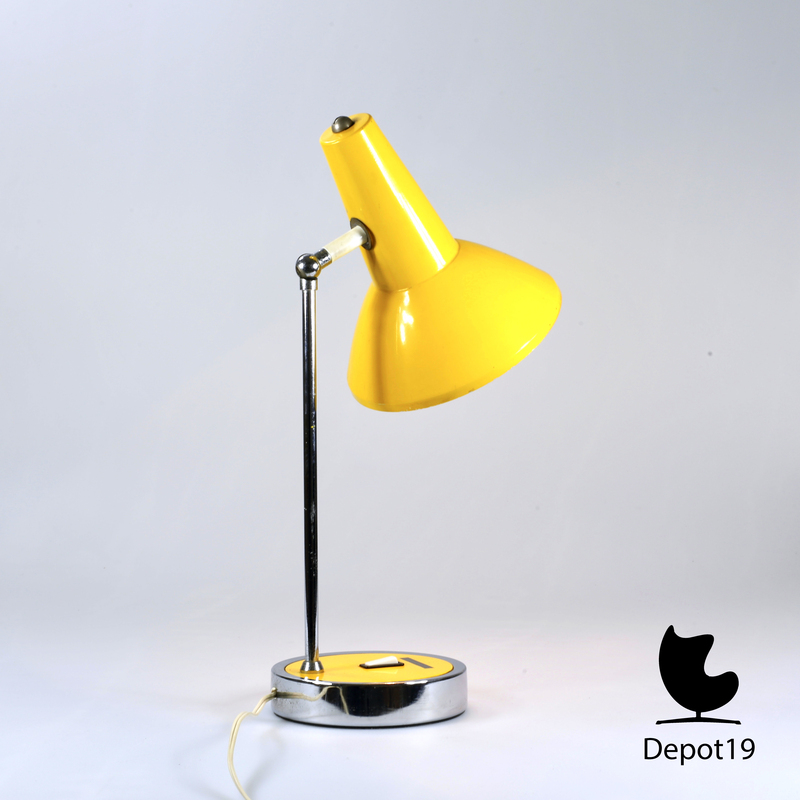 Yellow desk lamp, table lamp attributed to Gino Sarfatti, a lamp in the style of Arteluce. 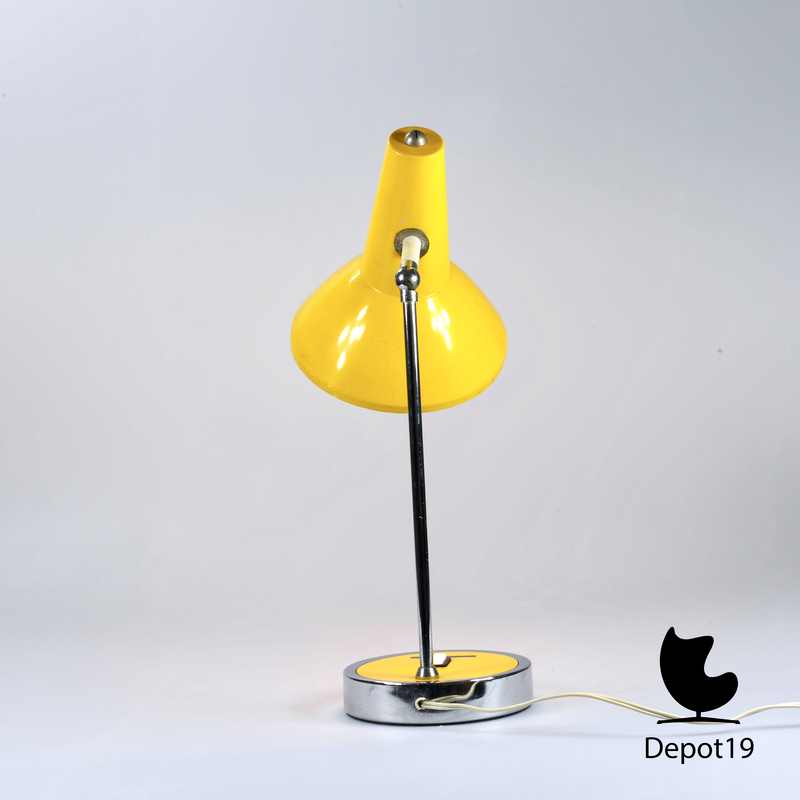 At the bottom labeled Made in Italy. 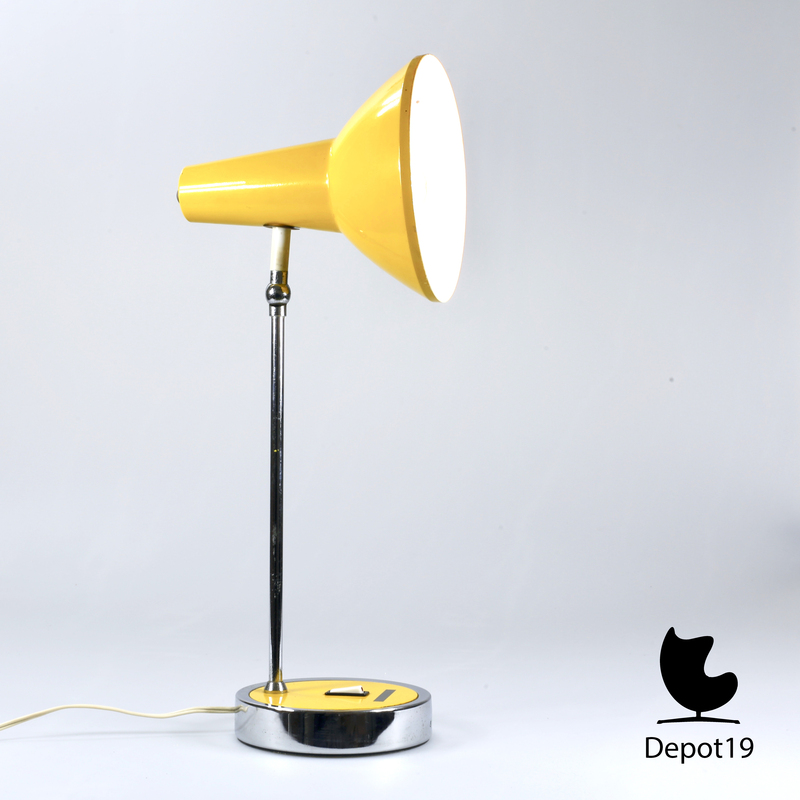 Yellow, black and chrome stand and base.